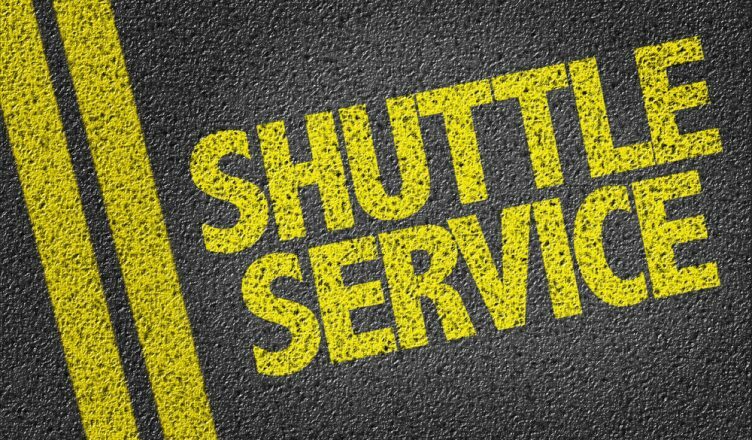 Do you run an airport shuttle company? If so, you should get a GPS tracker and route planner right now. 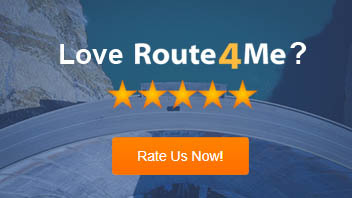 However, we suggest you go for a single multiple destination route planner that offers a vehicle location tracking feature so that you don’t need to buy two separate items of software. A map route planner will help you plan well-optimized routes so that you can ensure your drivers make it to the airport in time for specific flights, control unnecessary expenses, manage drivers, and don’t need to field anxious calls about shuttle arrival times. Overall, GPS management software will improve customer satisfaction, save your business a great deal of money, and increase your profits. But don’t simply take our word for it. Here we discuss the benefits offered by a fleet tracking app in detail so that you can make an informed decision. 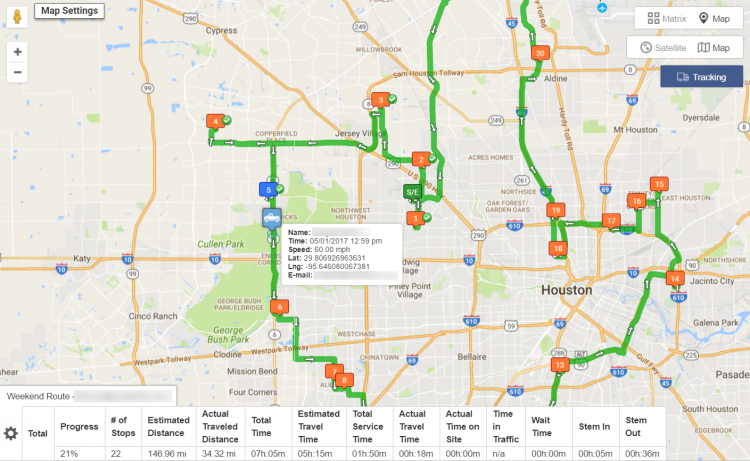 You might plan great routes for your drivers, but you can’t guarantee that they will follow it as planned unless you use a monitoring system to track their routes. Also, you can’t know how safely your drivers are driving…unless they’re raking up piles of speeding tickets! Bad driving behavior can risk your business’s reputation and put your company’s existence on the line. This conduct will cost you a good deal in tickets, loss of customers, higher insurance premiums, and other issues besides. That’s why you need a GPS tracker. A commercial GPS tracker will help you pinpoint on a map precisely what your drivers are doing on the road, so that you can see if they are following their routes properly. Also, tracking devices offer geofencing alerts that let you know, in real time, if a driver is speeding, idling a vehicle for too long or engaging in other specific risky driving behaviors behind the wheel. This makes it possible for you to immediately communicate with any errant drivers in order to rectify the bad behavior. All this will also ensure that your customers can ride with peace of mind, knowing that the shuttle company they hired care about their safety. It’s important to keep a stringent control on your expenses to run your business efficiently. For example, you need to track your fuel costs each month to know whether they are reasonable, or whether they need to be reduced. GPS programs have you covered here as well. A telematics system collects a vast volume of data about each field activity, not to mention all monies spent, so that you can make data-driven decisions to manage your operations better. 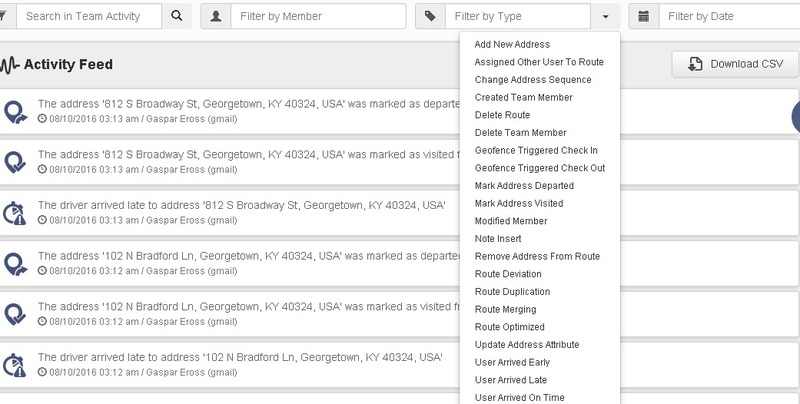 Also, fleet mapping software comes complete with an activity feed feature that displays all of the activities in your account, including note additions, route modifications, and driver progress. There is a high probability of vehicle theft when your drivers are off-duty and their vehicles are left unattended. And it just takes a couple of minutes to steal a vehicle. But a GPS tracker acts as a deterrent for many would-be thieves, and ensures quicker vehicle recovery times in the event of a shuttle vehicle being stolen. You can even set your car GPS tracker to notify you immediately when a vehicle becomes operational at a time when it isn’t scheduled to be active. This alert can even be sent to you if you aren’t currently on the property. You can then forward the information to the concerned authorities, so that they can recover your vehicles and arrest the thieves. Tracking devices will help your customers know precisely when to expect shuttle vehicles to arrive, which is very important for today’s busy travelers. This is possible as passengers can track the status of the vehicles with their laptops, smartphones or tablet devices, so that they don’t need to waste time standing in queues for shuttles to arrive. Such a customer service feature also demonstrates that you value your passengers’ time, and so they will be more likely use your services again, which will definitely be good for your business. With the increased cost of gas and labor, running a business has become much more challenging than ever before. So it has become important to determine ways to help your company do more with fewer resources. A GPS tracking system can help you do exactly that. 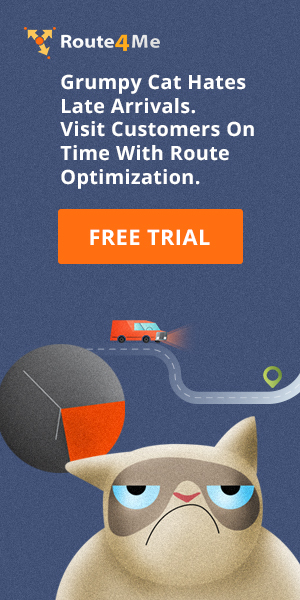 Route planners will help you plan more fuel efficient routes which reduce your expenses, save your drivers time, and help your company make more stops per day. Dispatch software also offers several constraints which ensure that all the routes you share with your drivers are free from traffic, bad weather, left turns and so on. This means that your drivers will always arrive on time, which will also make your passengers happy, and build a great reputation for your business. That’s what most people in the airport shuttle industry call a big win. 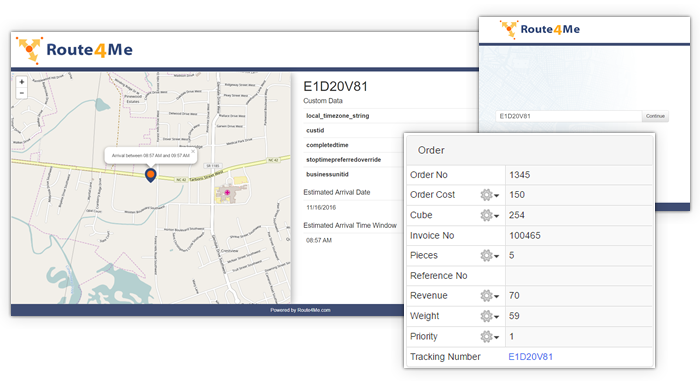 The little things make a big difference for your bottom line, and GPS tracking software can help you reduce your expenses, improve your profits, and make your customers happy…all undoubtedly substantial benefits. So now is definitely the best time to explore the potential of a GPS tracker for your business. Have you investigated any GPS tracker or vehicle routing software, or are you planning to opt for one soon? Do you have any questions about GPS tracking? Please feel free to leave your comments below. How can a telematics system in your vehicles help you control your drivers’ behavior? 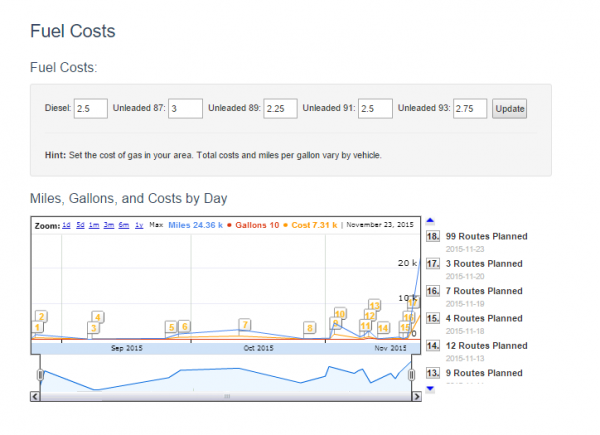 How can a GPS tracking device keep your costs under control? How can a GPS tracking app protect your vehicles from theft?